Elite features on the Grill Dome improve the tradition of delicious kamado-style cooking in your backyard. This Grill Dome Infinity Series Large Kamado Grill is constructed from all natural Terapex Ceramics which is twice as thick as other grills, making it superior for holding heat and maintaining temperature control across the 265 square inches of cooking space. The thick, porous ceramic keeps moisture in the food and allows you to control the temperature effectively while burning less fuel, saving you money. This kamado grill comes fully assembled with firebox and firering ceramics that are designed to withstand high core temperatures of up to 1200 degrees Fahrenheit, and a top vent and bottom damper that allow you to adjust cooking conditions for any recipe. Smoke, BBQ, or bake as low as 200 degrees on the 18-inch porcelain coated cooking grates or get up to 750 degrees for grilling and searing food. Grill Dome kamado grills feature heavy-duty 304 stainless steel hardware for an attractive touch that is rust resistant and durable. The Featherlite, spring-assisted hinge allows you to lift the heavy ceramic lid with just a few fingers, making it one of the easiest kamado grill lids to open. This Large Kamado Grill is machined to ensure a firm seal between the top and bottom and comes in a sleek black finish that is baked three times to eliminate the possibility of crazing (fine cracks forming). Special manufacturing technology is used so your grill is constructed of identical ceramic top and bottom pieces for a quality grill that is built to last. There is only One Kamado pot and this is it. I have cooked on a terra cotta kamado pot for 45 years. That is also 45 years on the same kamado pot that is still sitting on my patio. It has weathered sand storms, flooding rain-storms and intense summer heat of 120 plus degrees. If I add the three years that I shared cooking on Jim's Kamado pot, then it is 48 years of cooking. My pot came directly from Japan via Jim's C-130 Hercules past customs as a gift. Unlike Jim's kamado, my had a sliding metal air vent and came with a variable grated metal chimney cap in addition to the terra cotta cap. Mine pot also had a steel, four-caster cradle to move it around on. I had to learn the slight differences in using my pot. Jim's kamado pot was a number 3 and it had a terra cotta chimney top and a terra cotta "plug" for the air intake on the bottom of the pot. You regulated the cooking temperature by properly positioning the bottom plug and the chimney cover at different positions, thus regulating the air flow through the pot. I have never used any "Barbecue" device that cooks as perfectly as a kamado pot. As for my part, these "porcelain"/terra cotta kamado pots have no equal when it comes to cooking. You can even bake bread in them. 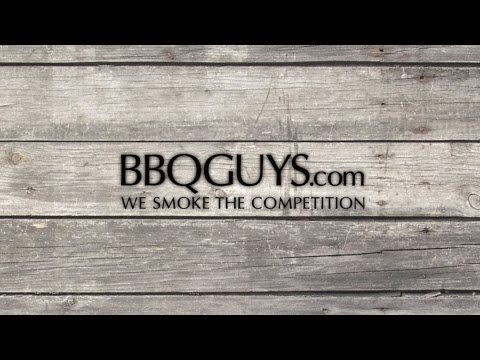 Try that with any other type of Barbecue! I purchased my grill dome about three months ago and have cooked on it most nights since then. It actually makes it a little hard to mess up a meal. My wife is particularly pleased with how much I like to cook on it. In comparison to a regular gas grill, the Grill Dome most importantly makes everything taste better but it is also a lot more versatile. In fact, my gas grill is now in my basement collecting dust. It does take a little more time to get the Grill Dome ready for cooking, but as I use it more that keeps dwindling. If I had anything negative to say about the Grill Dome is that I don't have two. I have only had the Grill Dome for two weeks but everything I have tried (pork ribs, brisket, burgers, and chicken) have come out wonderful. Very moist, tender and tasty. The Grill Dome has done everything they said it would. I am still expermenting with the temp control but gaining ground. Had a little trouble getting the temp to 225 degrees with the brisket, think I had to hot a fire to start. When it did reach 225 it stayed right on there for 10 hours. So far I am extremely happy with the Grill Dome. Awesome product I wish I had two!!! 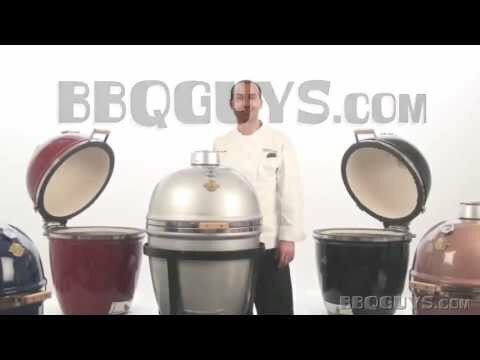 I use the Grill Dome to BBQ, Smoke Meat, Fish. There is not much you can't use it for. I used it as a extra oven Christmas of 2008. Awesome product!! It does everything there website claims and more!!! Comes with a life time warranty from the maker. Best Ceramic Cooker out there! I have one of these and I have to say its the best ceramic cooker out there. Its has a thick heavy duty construction and the auto hinge makes the lid feel light as a feather. I would definitely recommend this over the other two brands on the site. My complaints are: 1 hinge is not strong enough of a design the lid is heavy and I ordered the wooden table and I use the little feet that came with it. It is best to raise the lid and rest it back gently on the hinge. The problem is when it is hot or when my wife or my 18 year old use it the tendency is when raising the lid the heat comes up and is hot on your hand and instead of resting gently on the hinge you drop it back. This in turn springs the hinge open and out of balance even more to the point that it will not shut tight any more the hinge actually holds open the grill about 1/8" it just gets worse. I have tightened the hinge allen screws. The first time this happened the ceramic smoke stack damper slide off and broke. I replaced it with the cast aluminum slide damper which clamps into place. I can probable take it apart and fix it, but would hope that there is a permanent repair. 2 the inner ceramic ring has 2 cracks in it from heat. This ring is what the grate sets on and insulates the outer shell it still serves its purpose but it is cracked. The Grill Cooks Great and I hope I can get these issues resolved.